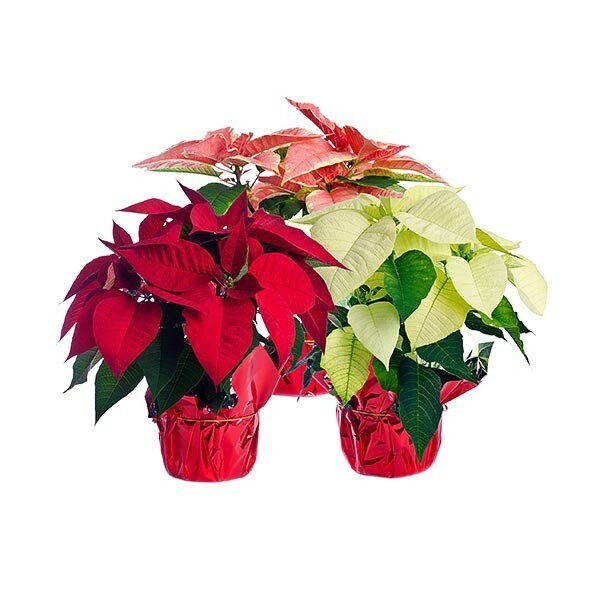 Bundle of 3 traditional poinsettias in different colors. Colors are selected randomly by our designers. At least one of the 3 plants will be red. Delivered in a growers pot covered in decorative foil. 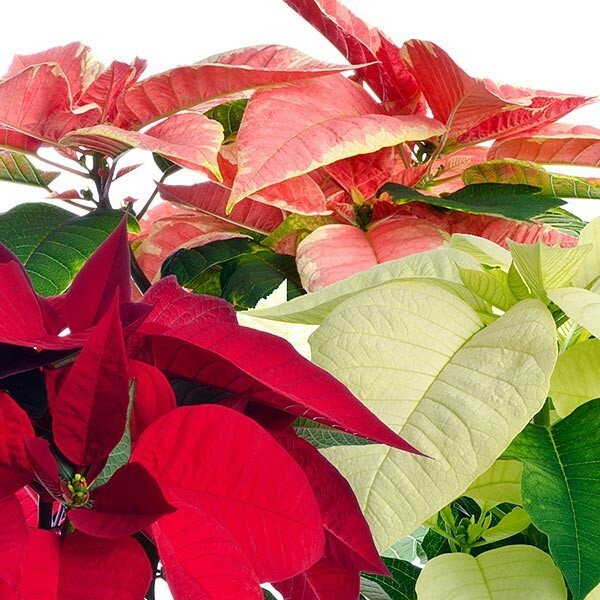 Send fresh traditional poinsettias in NYC from plantshed.com.